Anybody who intends to sell their property in Scotland is legally required to obtain a Home Report, which provides information regarding their home’s energy efficiency, overall condition and environmental impact. 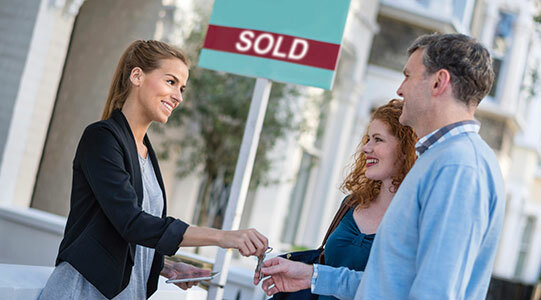 However, if you’re looking to buy a property and want to make sure you’re making a smart investment, you may want to consider obtaining a more detailed report, which is known as the home buyers report in Scotland. At Shepherd Chartered Surveyors, we’re the leading and most highly experienced team of qualified surveyors in Scotland. We can survey any home regardless of its location thanks to having a vast network of dedicated branches. We can also accompany your home survey with an accurate valuation, allowing you to determine whether a property’s asking price is fair. Learn more about the house survey in Scotland by reading below or getting in touch. Why Should I Get a Home or Flat Buyers Report in Scotland? The home report, which is a simple document that all sellers must obtain, only details a property’s overall condition. The Scheme 2 home buyers report, on the other hand, uncovers potentially costly defects. It also provides an overall cost-estimate for the required repairs. Our chartered surveyors compile the report by inspecting every accessible and visible area of the property you’re thinking of purchasing. They can uncover issues ranging from problematic roofs to damp and wet rot. Buying a property requires a significant investment, which is why it’s always a good idea to make sure that you’re spending your money wisely. If you’d rather not take any risks when purchasing a home, then you should call us for a home buyers report in Scotland. At Shepherd Chartered Surveyors, we’re the nation’s largest network of qualified chartered surveyors. We boast a wealth of industry expertise as well as market knowledge of your local area. We also aim to remain one of the most cost-effective companies for home surveys in Scotland. Discuss your needs with one of our highly trained professionals by contacting your local branch.